Most of the prints I make are unique, mainly because each one often involves several different processes and this is very difficult to replicate exactly to form an edition. However, every time I make a print I develop the plate as far as I can and this generally results in a small group of prints that are similar but not an edition. Often the task of choosing which one to put in an exhibition is straightforward; perhaps because one is clearly technically inferior. Sometimes choosing is really difficult. 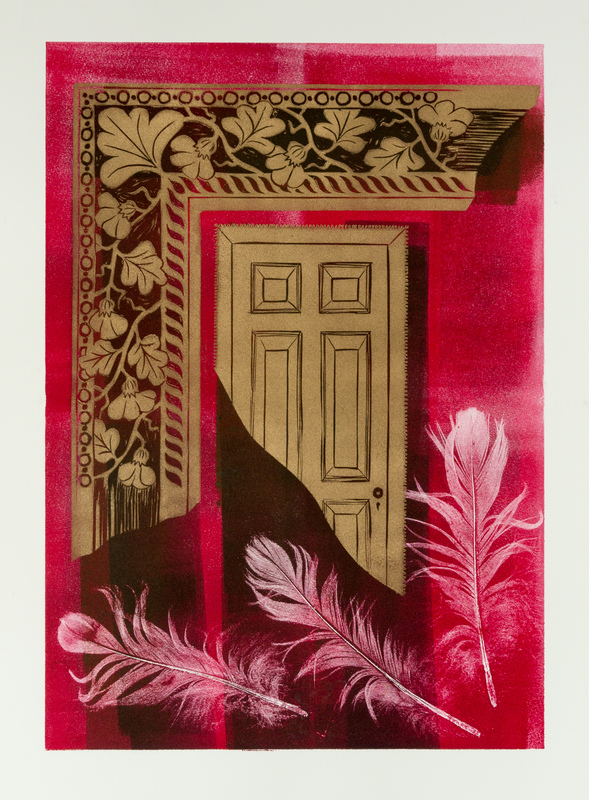 The two prints that follow are inspired by Britten’s opera Owen Wingrave and they contain similar elements, the feathers (symbol of cowardice), the picture frame (echo of Owen’s ghostly ancestors) and the door (the haunted room where Owen dies). Both prints use the same colour palette of red, gold and black but the results are very different. I like them both. One of them is in the exhibition. Which one would you choose? 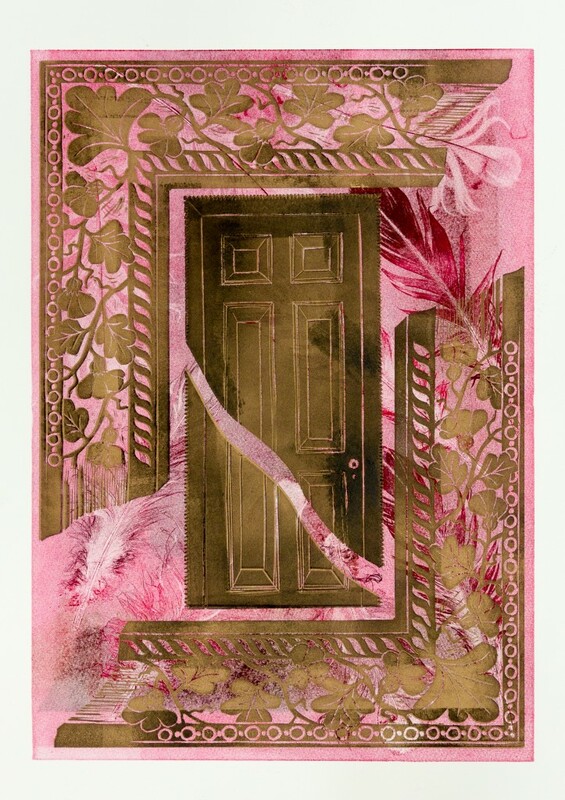 Both of these prints are really wonderful, I would definitely have a hard time choosing after the work that is put in… When reading your description, the bottom print is the most appropriate the darkness give a haunting appearance to the door. Your website is beautifully done. You are an inspiration! You could well be right…….the opera certainly has a dark feel, especially in the later scenes. I can’t wait to see your pieces in the flesh as it were.